There has been an increase in the number of properties sold last month, according to a recent survey. Findings by HM Revenue & Customs show that there was a spring boom in house sales in March and that the number of homes sold in March rose sharply. The figures reveal that there were 74,000 completed sales in March which is higher than in January and up from 63,000 in February. HMRC have foretold that the pick-up of buyers could be due to the fact that many Britons have brought their purchases forward to benefit from the stamp duty which as now expired. This is further reiterated by the fact that mortgage lending also rose in March and it was up 30% on February’s figures, according to the Council of Mortgage Lenders (CML). Other reasons suggested for house sales to spike include the warm weather which attracted potential buyers to go house-hunting. However, the good news does still not mean a return of the housing market back to its glory as the number of transactions in March was only half compared with March of 2007. 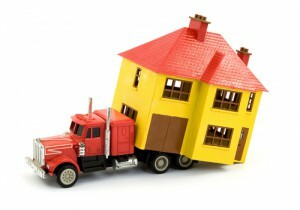 With so many properties being sold in the UK, it can be expected that the number of removals will increase too! If you have recently purchased a house but you need help packing up all of your belongings, transporting them, as well as taking out insurance to give you peace of mind; look no further than the experts at Robinsons. We can make your move easier and rest assured that you do not need to pay anything up front just to enquire about our professional services. We offer a free survey and quotation feature in which we will visit your home, discuss your requirements and provide a full pre-move consultation. Still not convinced? Just check out our price guide here for more details.